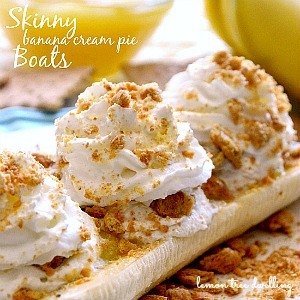 Skinny Banana Cream Pie Boats – just 4 ingredients, and the perfect (guilt-free) way to treat yourself this summer! Hello again to all my friends at The 36th Avenue! 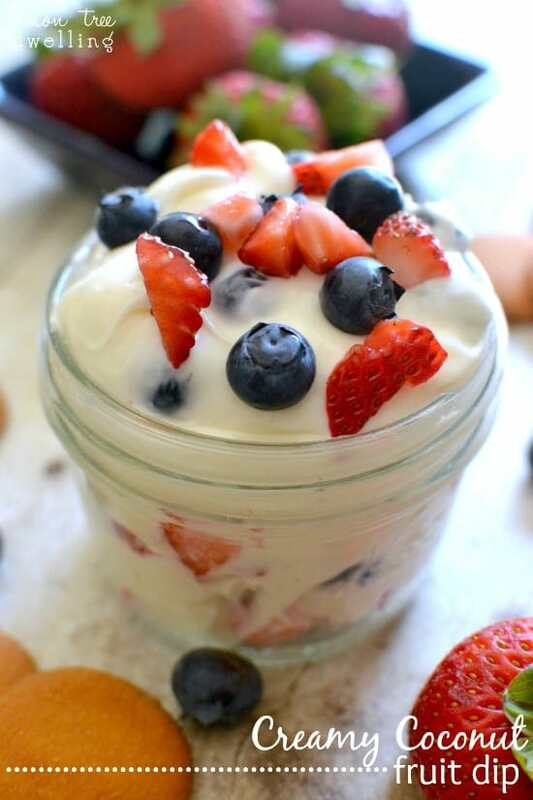 It’s Cathy from Lemon Tree Dwelling, and I’m back today to share another yummy summer recipe with you. For those of you who don’t know, I just had a baby!! Which is both wonderful and absolutely crazy…..this makes 4 kids (enough said)! We have a LOT to figure out with 4 kids, but one thing I know for sure is that this mama’s time is going to be limited!! I can already feel the pull of needing to help kids get dressed, pack lunches, do homework, get to soccer, take baths, brush teeth…..all while trying to take care of a newborn. Of course, some of it will be easier once school is out, but then there’s driving them to summer school….and dealing them being home! I can already hear their cries of boredom, and summer hasn’t even started! All I can say is my family will be lucky if I feed them this summer. Ha! At the very least, it will definitely be a summer of EASY recipes. And, hopefully, SKINNY recipes, too! (I’ve got a baby belly to lose!) 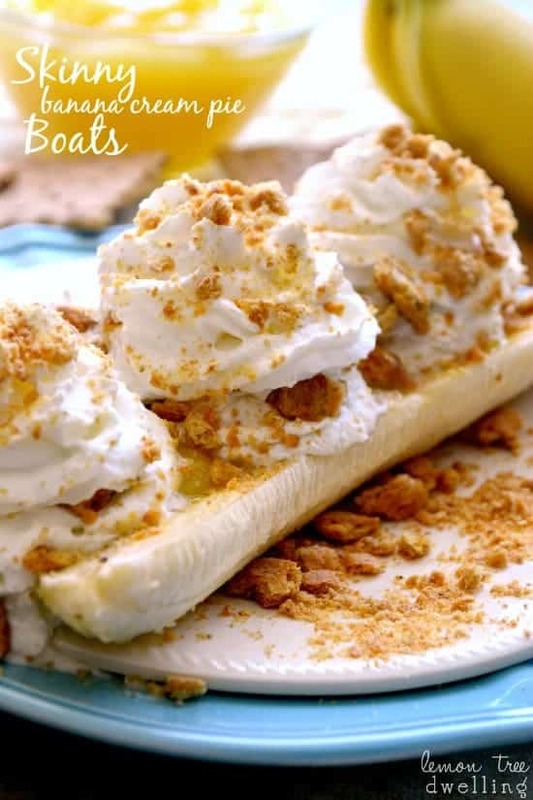 Of course, we still need our treats….especially after a long day of dealing with 4 kids….which is exactly where these Skinny Banana Cream Pie Boats come in! 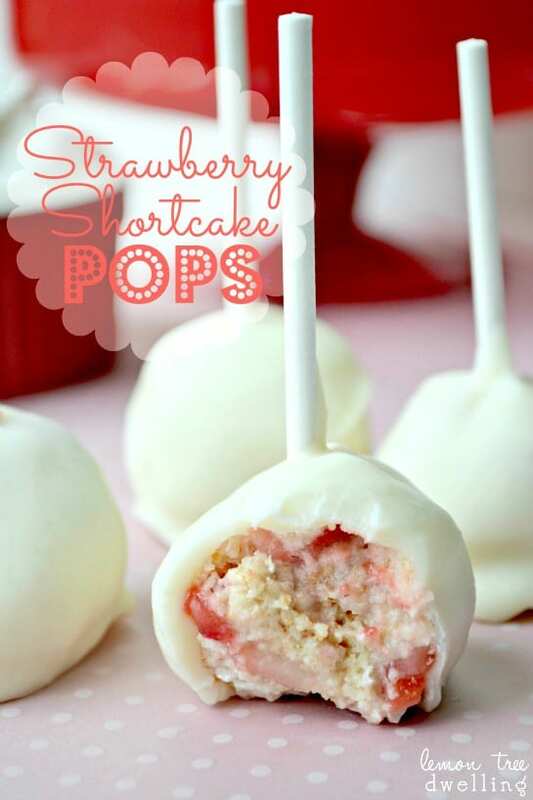 They could not be simpler (just 4 ingredients) or more delicious! Don’t worry – you don’t even miss the crust! 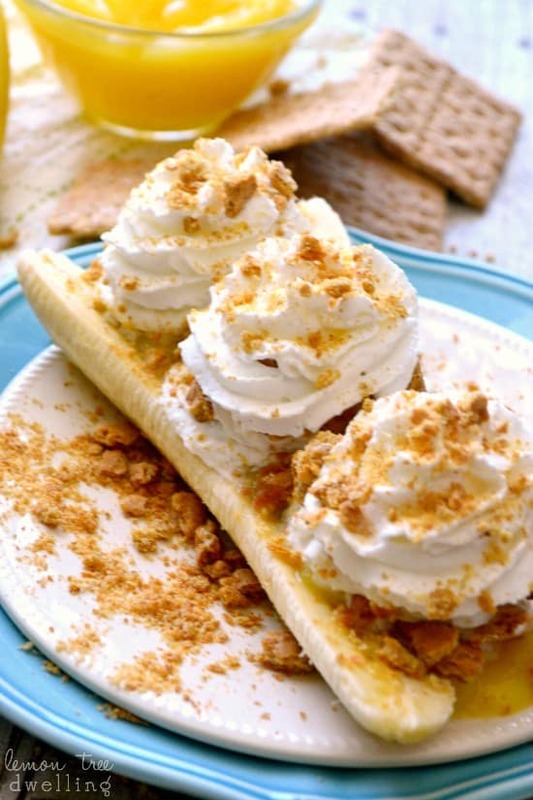 Between the banana and the pudding and the whipped cream and the crunchy sprinkle of graham crackers, they feel like a treat in every way….except the guilt. Which is the very best treat of all!! 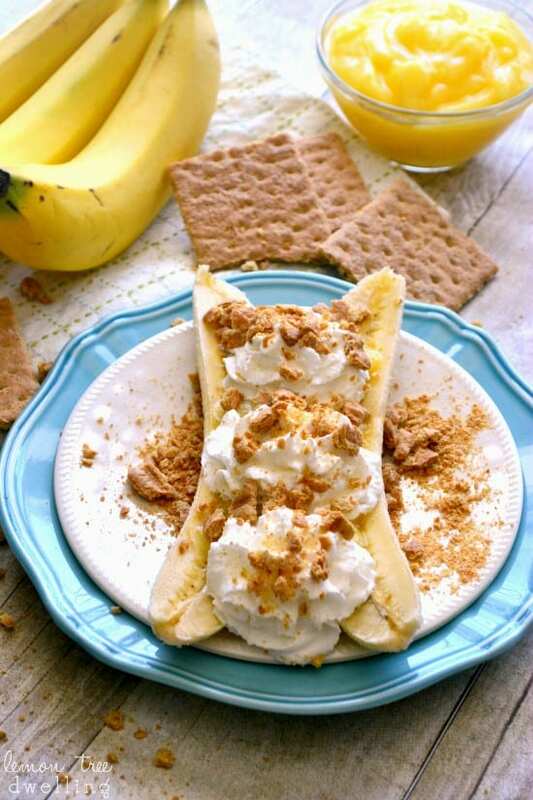 Slice banana lengthwise down the center. 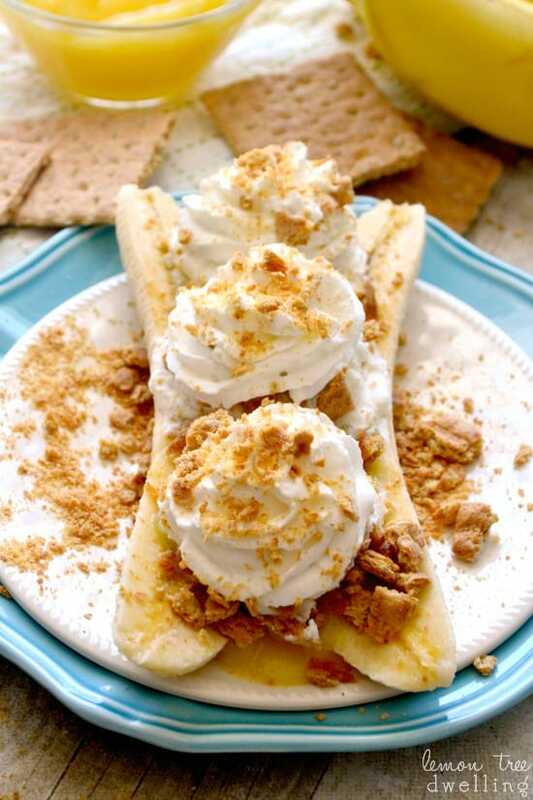 Top with vanilla pudding, whipped cream, and graham cracker crumbles. 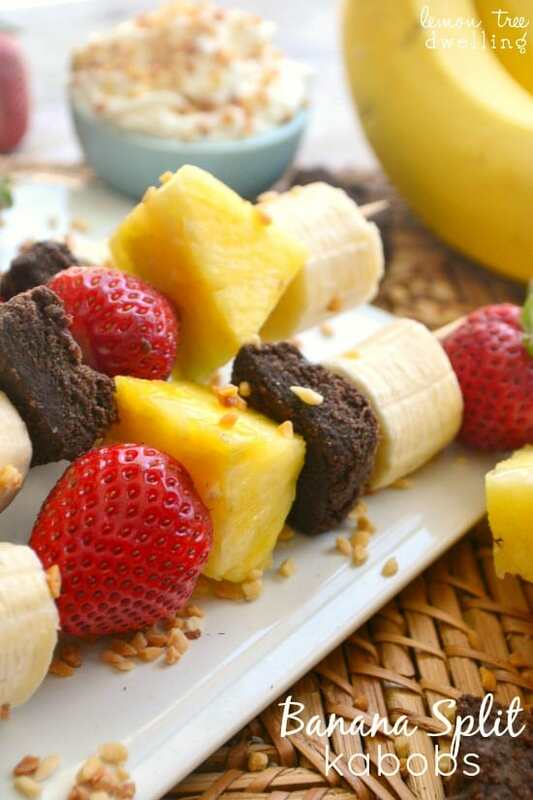 I’d love for you to stop by my Lemon Tree Dwelling to check out these other easy summer recipes! 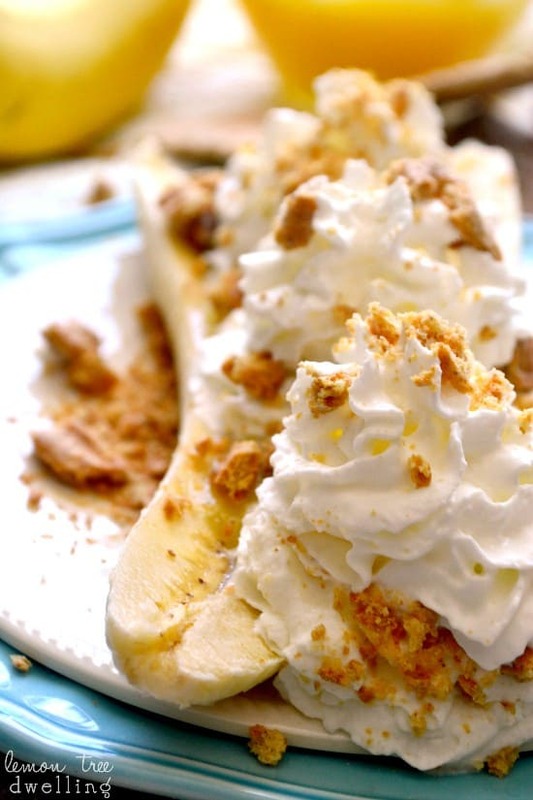 Click on the Image to get the RECIPE! 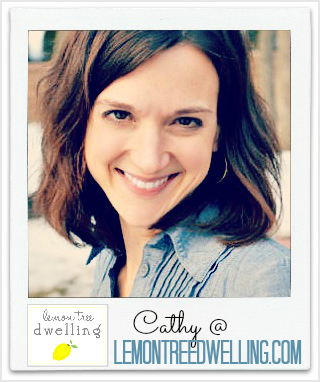 Thank you so much Cathy for visiting with us today! Pinterest, Google +,Facebook and Twitter. oh. my. gosh. This looks amazing!! Trying this weekend! Thanks for sharing!! Well that certainly looks DIVINE!!!!! LOVE IT!!!!!!! !